The Hongkong and Shanghai Hotels, Limited (HSH) is the oldest hotel company in Asia and one of the first to be listed on the Stock Exchange of Hong Kong. Additionally, HSH is one of the first companies to also be engaged in the ownership, development and management of prestigious hotel properties in Asia, the United States and Europe. The Kadoorie Family is HSH’s majority shareholder since the turn of the 20th century. 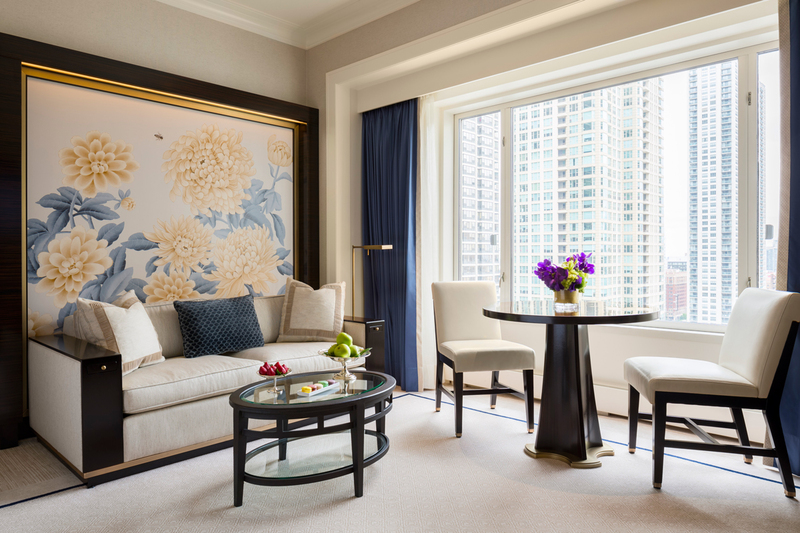 The Peninsula Chicago is the five-star hotel that brought traditional Asian service to a city already renowned for the warmth of its hospitality. The hotel has become an integral part of Chicago life and is considered the top choice for everything from accommodation to celebrations and corporate events. For this, the hotel credits its strong links to both the local community and international heritage. This year, The Peninsula Chicago is honored to be recognized as part of the ‘2017 Travel + Leisure World’s Best Awards.’ Each year, the readers of Travel + Leisure, the largest travel magazine brand in the United States, vote for their favorites in all things travel in their ‘World’s Best Awards’ survey. The hotel is delighted that the readers have voted The Peninsula Chicago as the ‘Best Hotel in Chicago’ for 2017. • Bespoke BMW house car, based on availability, for transport within several miles of the hotel. • Peninsula Academy Programs, offering unique, cultural and educational experiences. • 3-hour chauffeur-driven exploration experience of the city in a MINI Cooper S Clubman for guests staying in a suite. Set in the heart of the “Magnificent Mile,” The Peninsula Chicago is ideally situated for visitors to experience all that the city has to offer. On the doorstep of Chicago’s premier business and shopping district, the hotel is located in the center of the city’s most exclusive shops, and steps from the historic Water Tower. Chicago is a city of world-class status and unsurpassed beauty, drawing visitors from around the nation and the globe. It is home to internationally acclaimed cultural attractions, theatres, renowned architecture, incredible shopping and restaurants, great jazz and blues clubs and much more. • The Peninsula Chicago was the first Peninsula Hotel to create Peter Bear, a costumed bear who wears the classic Peter Bear uniform. • The staff is made up of 37 nationalities. • Nearly 1500 guests attended The Peninsula Chicago’s 10th Anniversary Party. • Guests of the hotel consume over 14,000 pounds of bacon, and over 40,000 pounds of chicken annually. • The Peninsula Chicago is the first of The Peninsula Hotels and the only hotel in the city of Chicago with a skating rink overlooking Michigan Avenue. 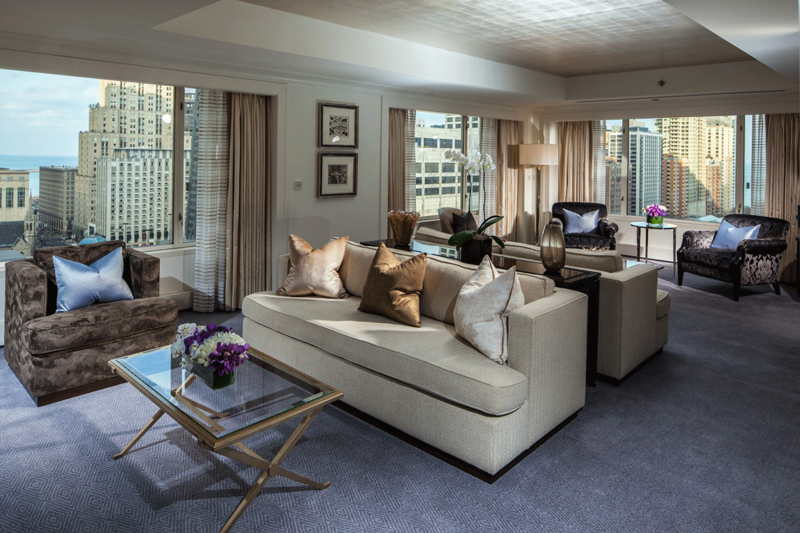 • The Peninsula Suite features a private 2,000 square foot terrace with spectacular skyline views. • The Peninsula’s younger guests who want the opportunity to get a “taste” of the Pastry Kitchen can indulge in the Little Bakers Pastry Class for Aspiring Chefs program. Designed for guests’ little ones with an interest in sweet treats, the chef-in-training will experience an interactive class conducted by the hotel’s pastry team, and includes a special tour of the kitchen and an hour-long sweet treat and cookie decorating class. • Children of all ages are welcome to a meet and greet with Peter Bear, the hotel’s mascot, upon request! Specific visits can be arranged at your guest room or dining table through the Front Desk and opportunities for a photo with our mascot are available. • Children’s Afternoon Tea offers a mixed selection of mini-sandwiches including peanut butter and jelly, ham and cheddar cheese fingers and the baby burger. • The Peninsula Chicago’s Sky Rink, which debuted in the winter season of 2012, is opened through the beginning of the first quarter and is available for families seeking an additional fun activity outdoors! The 2,100 sq. ft. hybrid rink is open to hotel, spa and dining guests and a donation of US$ 5 for children / $10 for adults is suggested (includes skates) – and benefits two local Chicago children’s charities. 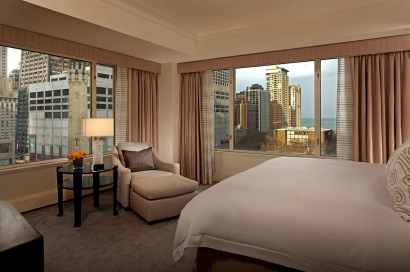 The Peninsula Chicago has 339 luxurious and spacious guestrooms and suites furnished in a magnificent classical style, including the 3,000 sq. 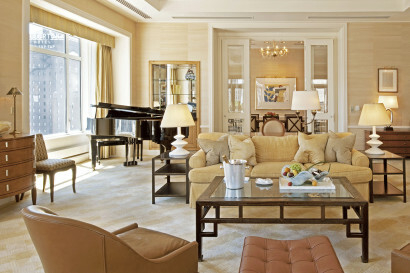 ft. Peninsula Suite with its own 2,000 sq. ft private terrace and Jacuzzi. Each guestroom and suite is equipped with a state-of-the-art electronic system that allows guests to control guestroom features with the touch of a button. The guestrooms and suites have all been refurbished with new carpeting, drapery, armoires, new technology including iPod docking stations and memory card readers and more. 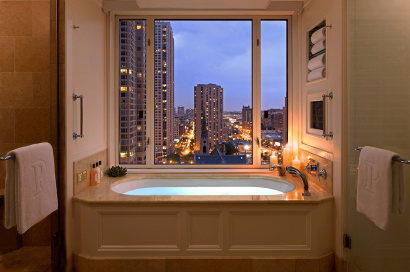 • Marble bathrooms with separate shower and soaking tub, television, and hands-free telephone. • Oversized executive desk with printer/scanner/fax machine and data port for high-speed Internet access. • Complimentary wireless and high-speed Internet access. • Complimentary local and toll-free access telephone calls. 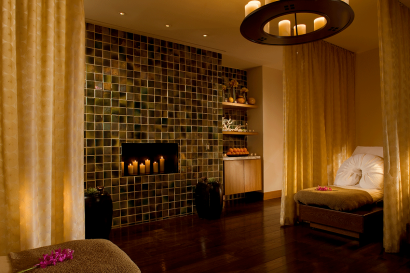 • Complimentary use of the fitness facilities at The Peninsula Spa. • 42” and 50” plasma televisions in guestrooms and suites respectively with cable programs. • iPod docking stations as well as memory card readers. • Two-line telephones with conference call and speakerphone capabilities, call forwarding and voicemail. 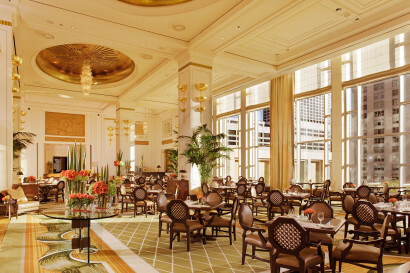 With magnificent sunlight streaming through 20-foot floor-to-ceiling windows, The Lobby is an impressive dining destination, featuring all-day dining of contemporary American cuisine with an approachable dinner menu and a spectacular Sunday Brunch. On Friday and Saturday evenings, guests can indulge in the decadent chocolate buffet “Chocolate at The Pen.” For a truly traditional teatime, The Lobby serves Afternoon Tea, featuring extraordinary and rare teas from around the world and exquisite savory and sweet accompaniments. Live music is offered daily to provide the perfect backdrop to The Lobby’s delicious culinary creations. The restaurant continues to receive rave reviews, including a perfect five star review from Time Out Chicago magazine, 2012. 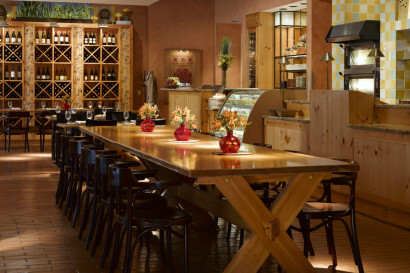 Step into the seductive setting of Shanghai Terrace and savor distinctive Asian cuisine. Consistently honored with the AAA Four Diamond Award, Shanghai Terrace features a menu of traditional Shanghainese and Cantonese dishes, with a modern twist. The Private Dining Room can accommodate parties up to 30 diners and guests can enjoy outdoor dining on The Terrace during summer months. 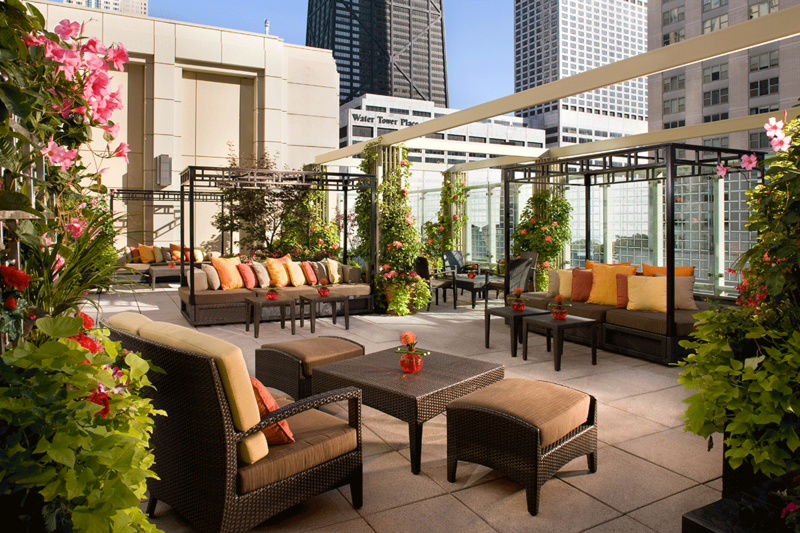 A favorite spot for Chicagoans and visitors to soak up the summer sun and warm night breezes while overlooking the Magnificent Mile. Located adjacent to Shanghai Terrace restaurant, the outdoor rooftop lounge is the perfect place to savor an Asian-inspired lunch, dinner or enjoy small bites and cocktails. 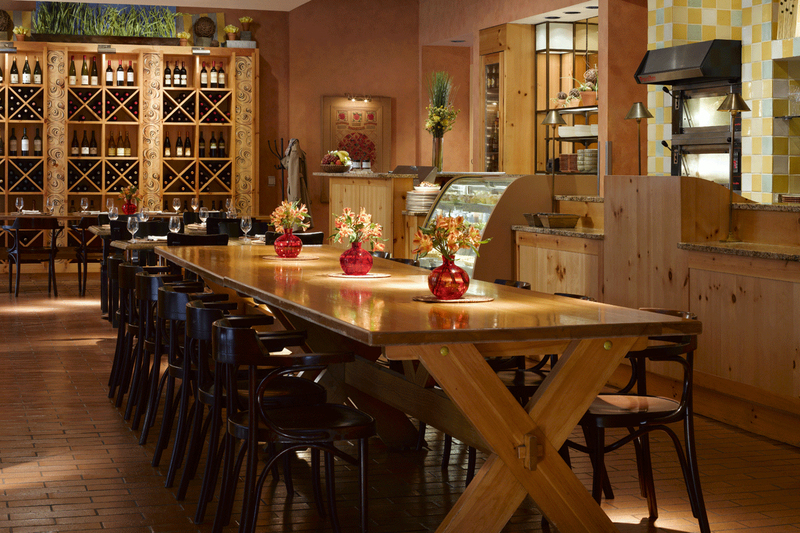 A European-style café and wine bar with alfresco dining in the summer. Pierrot Gourmet is the perfect spot for light fare. The menu includes freshly baked pastries, signature sourdough tartines, rotisserie chicken and salads, plus unique coffees and an extensive selection of wines by the glass. An elegant, comfortable meeting place with an Art Nouveau flavor and roaring fireplace where one can enjoy a vast array of premium cocktails and ports as well as light snacks. The 15,000-square-foot Peninsula Spa and adjoining fitness center is located on the top two floors of the hotel. Encased in floor-to-ceiling windows that offer spectacular views of Chicago’s Magnificent Mile, The Peninsula Spa is flooded with natural light. Guests can enjoy pampering holistic therapies, inventive spa cuisine, the latest exercise equipment and facilities with a pool and exclusive sun deck overlooking the beautiful city landscape. 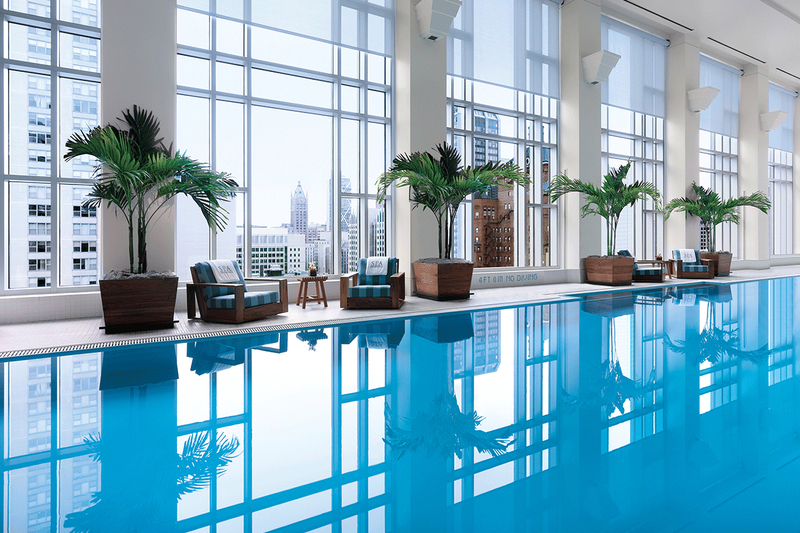 The Peninsula Spa combines the peaceful ambiance of a spa with an all-inclusive fitness component, establishing it as a destination for Chicagoans and travelers alike. The Peninsula Spa has been ranked the ‘#1 Hotel Spa’ by the readers of Condé Nast Traveler and ‘Best Urban Hotel Spa and Best Spa for Accommodations’ by the readers of SpaFinder magazine. The Peninsula Chicago offers over 11, 250 sq ft of versatile meeting and event space, providing the flexibility for every type of event from intimate meetings to lavish galas. The Grand Ballroom is an exceptional setting for both private parties and business events. With its rich decor and spectacular views of ‘The Magnificent Mile,’ this impressive space can accommodate up to 550 guests in a variety of configurations. For smaller events and meetings, the ballroom can be divided into separate sections or, there are nine additional function rooms and a boardroom with a plasma flat screen television. A Conference Concierge is available to groups meeting in the hotel. A fully equipped Business Center with one private office and two computer stations is available. 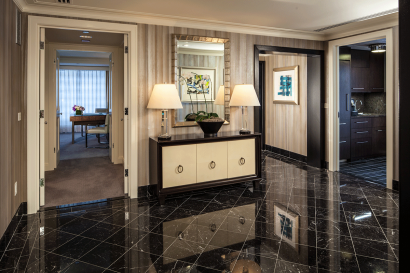 • Named Number One Best Business Hotel in Chicago and Number Five in The US by the Business Travel Awards by Conde Nast Traveler readers (October). 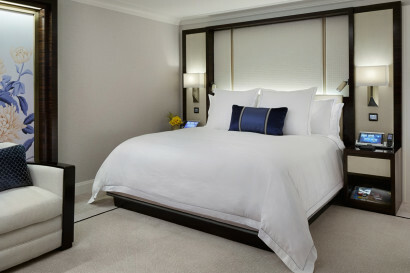 • Named Number Four Top Large City Hotel in the Continental US by Travel + Leisure magazine’s World’s Best Awards. • The Lobby awarded a perfect 4-Star review by Chicago magazine (September). • The Lobby received a 3-Star rating, “Excellent” from Chicago Tribune (July). • Shanghai Terrace voted “#1 Chinese Restaurant in Chicago” by Zagat Survey (June).